Change is the only constant. New situations are ever emerging. Further, our expectations, needs & demands change with time, who knows what is stored in future (nothing in negative sense). To be at peace & happiness, we need to maintain pace, with our expectations, approach & attitude towards everything & everyone including ourselves, in every situation we come across in life. Can happiness & peace be created? Everybody is born happy & peaceful; rest is all acquired….. This is what Positive Psychologist & Life Coach Dr. G. C. Mehta conceives & aims for the world to realize & understand the significance of innate happiness & peace in everyone. Savoring happiness is our birth right. Sadness is attained. A unique combination of Life Coaching & Positive Psychology helps to eliminate unhappiness achieved through journey of life. ‘REMOVE UNHAPPINESS TO APPREHEND INHERENT HAPPINESS’! Positive psychology is based upon scientific understanding and effective intervention of positive human development to aid in the achievement of a satisfactory life, rather than merely treating mental illness. This unique concept is the latest effort by human beings to understand the nature of happiness and well-being through the studies of strengths and good qualities of individuals. 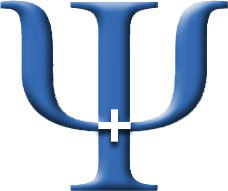 Positive Psychology does not replace or disregard the traditional areas of Psychology. Thus, the possibility of partial or limited result produced by bringing attention to & focusing only on disorder / mental illness are being eliminated by Positive Psychology. How Life Coaching is complimentary to Positive Psychology? Positive psychology makes a perfect combination with life coaching. Clients seek out life coaching for a number of issues, but the genuine concern underneath is a usually unspoken wish to augment their overall sense of happiness and well-being. Positive Psychology provides important realistic groundwork for life coaching to help clients realize their purposes on the route to greater well-being. A possible danger in the form of high positivity as a critical effect of Positive Psychology is ‘positive illusion’ which in turn distorts the facts & realities, can beautifully be covered by another unique practice called Life Coaching. Research in field of Positive Psychology clearly shows that it is possible to help suffering people by building their strengths. In addition, strengths act as buffers against mental illness. The strengths that represent major strides in prevention include: courage, optimism, faith, belief system, work ethic, hope, honesty, reliability, perseverance, and the capacity for flow and insight. Research in this field has revealed that Positive Psychology practice can efficiently make people realize about their natural happiness which was concealed behind acquired unhappiness during the journey of life. The benefits of happiness are remarkable & extensive & go way beyond ‘feel good’ factor. Happier people tend to enjoy comprehensive success in the form of better health, longevity, enhanced career, healthy relationships, reflect positivity & optimism, inspiring others and are dynamic & productive at work & in life. Thus, Life Coaching integrated with Positive Psychology encourages to have immense & continuously rewarding outcomes, create productive & fulfilling life, explore & develop further possibilities to maintain peace, happiness & self satisfaction, keeping the same spirit alive.